The LTU-101A-R consists of a sensor with dual tuning forks which are vibrated at a high frequency. As the tuning fork is progressively covered by a liquid, a shift in frequency occurs which activates the relay output. 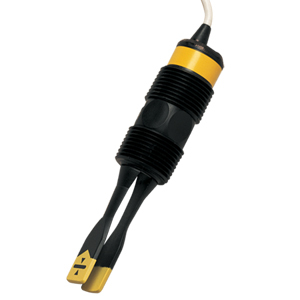 The tuning fork sensor is often used in conditions where there may be frequent composition changes in the liquid. Factory calibration ensures accuracy over a wide range of liquids, including lubricating oils and hydraulic fluids. Note: Comes complete with operator’s manual, CE compliance.